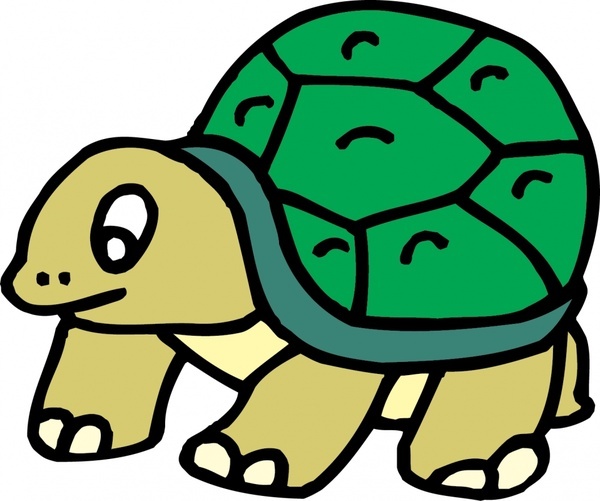 Have you ever heard the story about the Tortoise and the Hare? I am sure you have. But what you probably didn’t realise is that the story can be linked to trading. 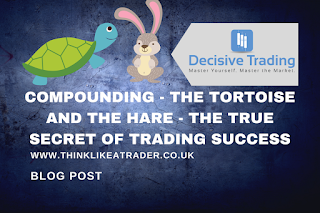 In fact, the Tortoise and the Hare is pretty much how I would categorise the successful Trader (the Tortoise) and those who never seem to get anywhere (the Hare). 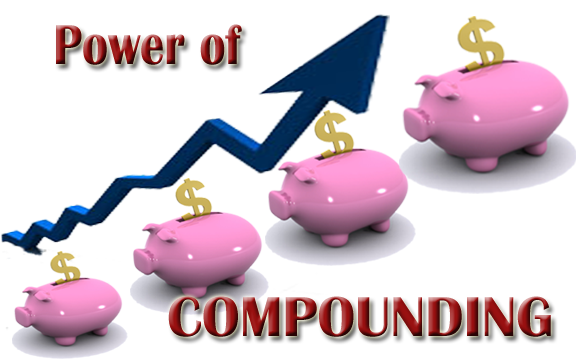 In this blog post we are going to look at compounding. I am going to explain to you how it works, and beat the marching drum for it, in the hope that some of you fall into the slow march. that cater to them, promising ‘secret strategies’ and ‘financial freedom’ and ‘fast results.’ This type of trader has wild swings on their account. Sometimes they DO make large amounts of cash. But they lose it just as fast. They spend months and oftentimes years banging their head against the wall of Fast Cash and continue to make the same mistakes over and over again. Sadly, the result is always that eventually, they are forced to stop trading. They either lose too much money and can’t afford to continue, or their body has taken such an emotional beating that they are forced to retreat. 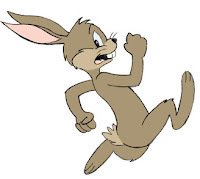 Whereas the Hare lost his race by being cocky and taking a nap, the Fast Cash Trader loses because instead of going at a sustainable pace, they try to go faster and faster until their heart gives out and they keel over. The answer to problems for the Fast Cash Trader is to increase risk, to trade more, and to attack markets until they get what they want. 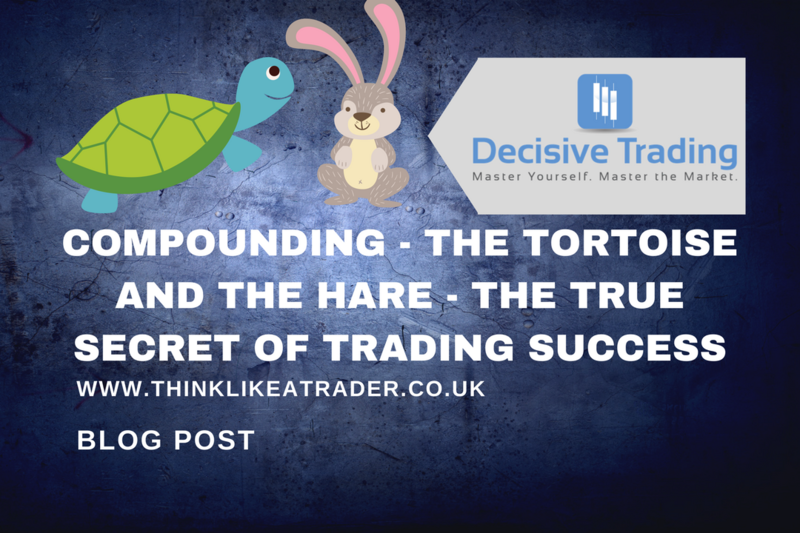 They don’t understand one of the REAL secrets of trading – which is compounding. Instead, they want to make 100% per month. They want to make this amount because they need to make this much so they can live off of their trading income. Remember, they want to do that NOW. They need to make a certain amount each week for their wage. There is no future planning, they just want the money. If only someone could show them that by demanding the Fast Cash, they are instead making it impossible to succeed. Now let’s look at the Tortoise. This Trader isn’t particularly exciting. They think in terms of years, rather than short term. This Trader understands that by taking a long-term view, and by allowing one of the true secrets of trading to work its magic, they can achieve their trading goals. To understand compounding, I’ll tell you a quick story I was told when I was a teenager. My Dad told me a story about a man who went to play a game of golf. The person he was playing against said, to keep this interesting, let’s bet some money on each hole. We will start with £1 and double the risk each hole we play. Now, that sounds absolutely fine, doesn’t it? A friendly game of golf with some risk between friends. But how much do you suppose they would be risking by the 18th hole? By the 18th hole, they would be risking over £131,000. And that, is the magic of compounding. Now, I was around seventeen at the time. So, in all honesty, it blew right over my head. I was more interested in what my friends were doing at the weekend and what house party we were all going to so I could try my best to chase girls (and fail miserably as always). But, once I found Trading, I understood the real power behind compounding. It is IMPOSSIBLE to sustain huge Trading returns. I did a video about this on the YouTube channel called – The Most Common Trading Scam I see and the Number One Reason Beginner Traders Fail. I am not going to touch too much on it here. But rest assured, if these idiots promising even 50% returns per month could be believed, you would be the richest person in the world in a couple of years starting with only a modest account. It just isn’t possible. Sorry to burst your bubble, but if it were, banks and hedge funds with multi-billion pounds of spending power would be doing it, not some idiot sitting in his bedroom on his laptop. Instead, you’ll be back to being the Hare – running really fast and going exactly nowhere, over and over again. But we are interested in the Tortoise. And it is important because it can help you take a HUGE amount of stress off of your shoulders as you learn and start to find consistency. By putting an arm around the shoulders of compounding and by accepting trading as a long-term venture, you can achieve your goals. Let’s say you are at the stage whereby you are finding consistency as a Trader (If you’re not there, then that is fine also. You are still in the learning phase. Just take your time and protect your capital. The compounding can come after you learn. Crawl first, then walk). Now, when you start to become consistent, the danger is there that you suddenly ‘want to be a Trader’. And by saying that, I mean you want to quit your job and live life on a beach. The problem is, to do that in most instances, you would need to take on huge risk. And that will drop you right back down to being a Hare. Most people start with a smaller account, it is simply the truth of life. And the hard fact of life is that a small account is not sufficient to sustain you as an income source. But let’s look at that long-term view. We will start with a relatively modest account of £5,000. And we will use compounding over a five-year period. The problem with trading initially when you have a small account, is that you ARE looking at the monetary returns. You make a few hundred pounds in a month and instead of realising how well you have done, you think, ‘I can’t live on that’. So, you beat yourself up and try and do more. If you only took a proper view on it, you would understand how well you are doing and how you are setting yourself up moving forward. Let’s now say you decide to risk 2% per trade. Your target is 5% per month. And you are going to let compounding do its work. So, that means you will need to be ‘up’ by around 2.5 trades per month (if looking for 1:1 risk reward). You don’t need to take ten trades per day; you don’t need to double your account every week. Just 2.5 solid trades per month. If you only focused on the monetary return, it would be easy to get disheartened. By the end of 12 months, you would only have £8,942 in your account. Again, you start to think that you can never live on those sorts of returns. This is where people go wrong. Again, the desire to up your risk comes in. Disaster ALWAYS follows. What you should be focused on is the fact that you are making great returns in percentage terms. And you are building your trading knowledge and your discipline. JUST KEEP DOING WHAT YOU ARE DOING. By the end of year two you are at £16,060. By the end of year four you are at £51,795. Do you see the power of compounding in action? What if you decide to go for another one year? By the end of year five you are at £93,000! Now, do you think by the end of four or five years you have not only the ability, but thanks to compounding, also the account to look at trading as a more serious venture? And here’s something else that you can do – at the end of that time, take a look around at all the Hare’s who were chasing the fast cash and the huge returns. I can guarantee you they won’t be trading full time and will either be running through another cycle of ‘ok, this time I got this. I am going to make so much money!’ Or else they will have stopped trading altogether. The problem with compounding is that people don’t let it have the time that is required for it to work. It is a snowball, that grows exponentially the more you roll it down the hill. You start small and you just stay focused on the process, not the outcome. Five years. You can either ignore it and keep running full speed ahead like the Hare, lots of pace but never getting anywhere. Or, you can accept the reality of the task at hand and start building your foundation for the rest of your trading career. I hope you’re all having a great trading week!